An interesting and essential blend of progressive Jazz Rock that managed to avoid the symphonic sounds of their contemporaries. this is the first of just two album releases by the band, both of which are now quite rightly very collectable indeed. The sleeve shows very little in the way of general shelfwear, with just a little scuffing evidednt on the edges and spine. Not being laminated, this sleeve was prone to all sorts of wear, but mercifully this one has avoided the fate that befell most. The vinyl remains in spectacular condition with just the one groove either side that it was born with. There are no obvious surface scuffs of any kind evident and very little sign of play at all. I doubt very much that you could find better vinyl than this. A superb copy of one of the most sought after 'swirl' releases. 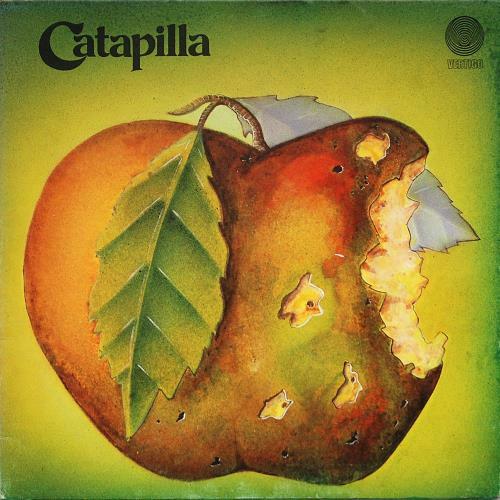 Product Information Catapilla Catapilla UK vinyl LP album (LP record).